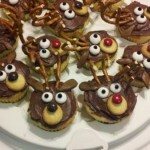 By cupcakeSerenity on December 19th, 2011 . Filed under: Cupcake Ideas, Decorating, Holidays, Kids, Photos . 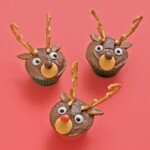 Check out these Reindeer Cupcakes! Here’s the recipe! I think this one would be fun for the kids! 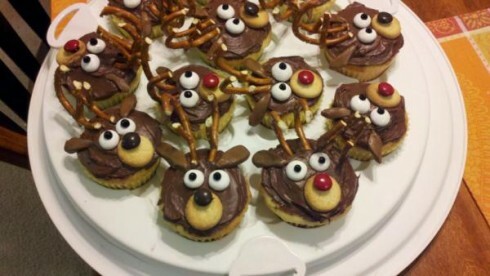 You’ll just need some Tootsie Rolls, pretzels, M&Ms, mini vanilla wafers, and some patience! « It’s Christmas Crunch Time!